Dining at Open Farm Community has always been a delight. 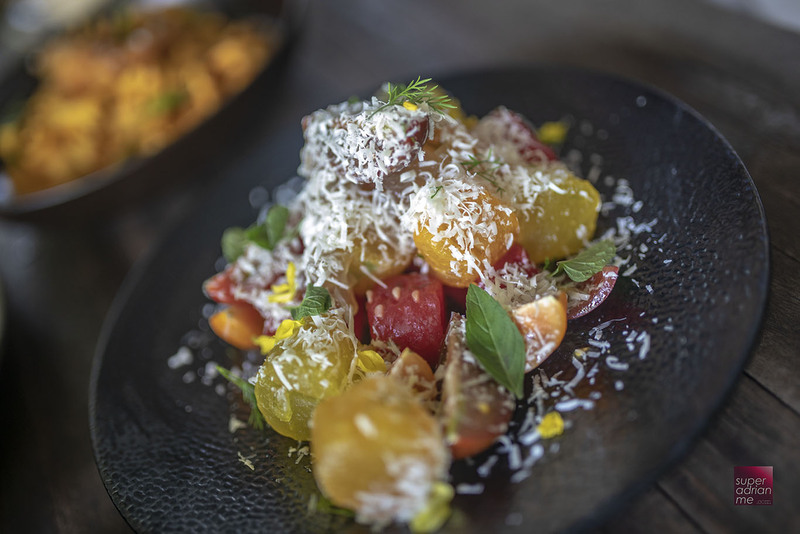 With a menu of farm-to-table options, the double-digit-priced appetisers and mains and perfect as sharing plates when you enjoy a meal with friends or family. The relaxing environment here is what I like whenever I dine here. 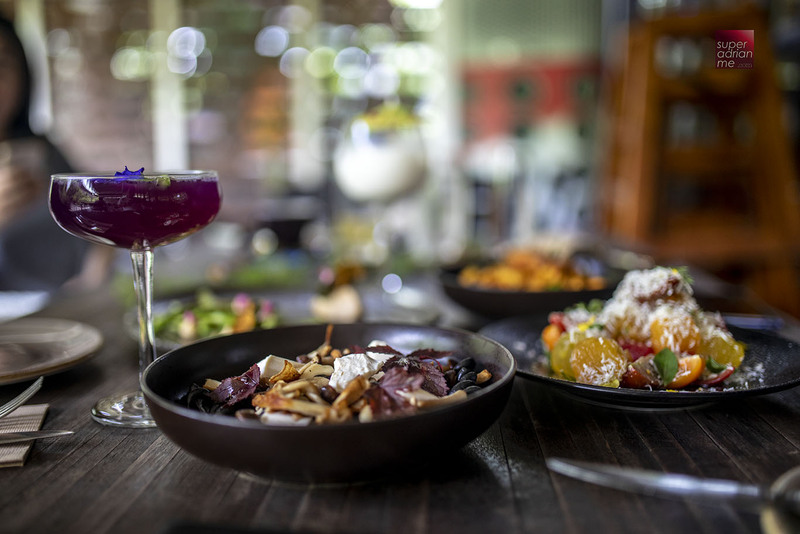 We were at Open Farm Community earlier this month for a shoot over a meal and got to try a couple of dishes from the appetiser, mains and dessert menu. We chose to dine outdoors and it wasn’t crowded so we got the privacy to photograph and film while enjoying our meal. It wasn’t too hot given it was noon. But you know how Singapore’s climate can change in a jiffy. But the natural sunlight and slight breeze from the fans outside made it conducive for our mission. 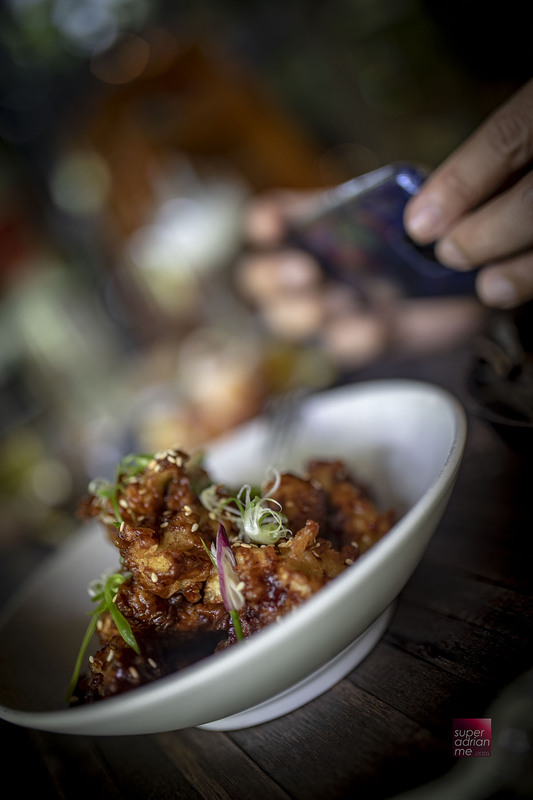 A dish that surprised me was the Fried Cauliflower “Wings” tempura cooked with miso caramel glaze and chilli black sesame seasoning & green onion. If I wasn’t told it was cauliflower, I would have thought it was fried chicken. I like watermelon. So the Watermelon Wild Honey salad that was prepared with local watermelon, aloe vera, Thai basil and frozen goats milk was another favourite. Desserts here are also something. If you like bananas, try the Singa’Smore, a tamarind fudge, caramelised banana mousse, five spice biscuit and dark soy marshmallow. Pair that with a cuppa coffee. Or now you have the option to get pastries from TBB Safari which recently opened its doors. 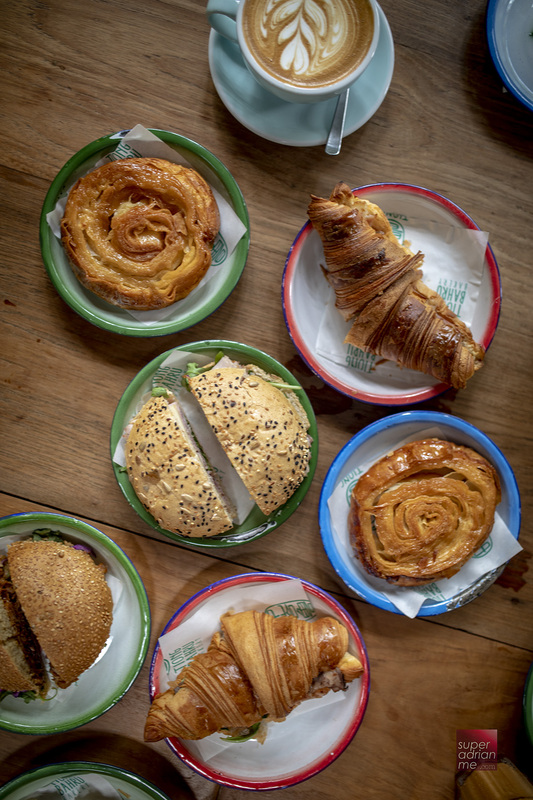 Sister company Tiong Bahru Bakery has set up a huge tentage just in front of Open Farm Community so that TBB fans can now enjoy its pastries, savouries, breads and coffees & teas. Enjoy your favourites here including TBB’s signature Kouign Amann. 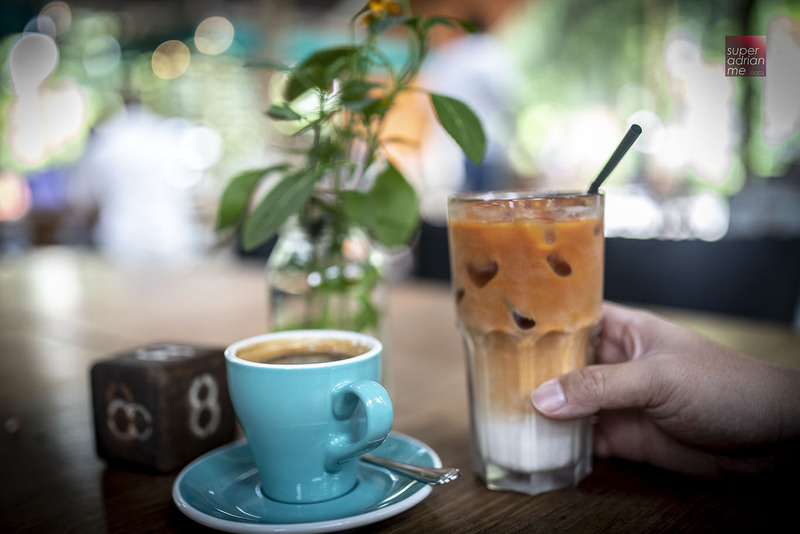 Dine under a cool rain-proof canvas tent and be sure to try TBB Safari’s antioxidant latte selection and power breakfast jars packed with planted in Singapore edible plants that are exclusive here. Accompanying the recently launched blue bell latte, a blue pea flower extract tea latte with coconut milk are two new creations. Pictured above are the gluten-free and dairy-free turmeric and ginger latte and the beetroot and ginger latte, each priced at S$6.50. 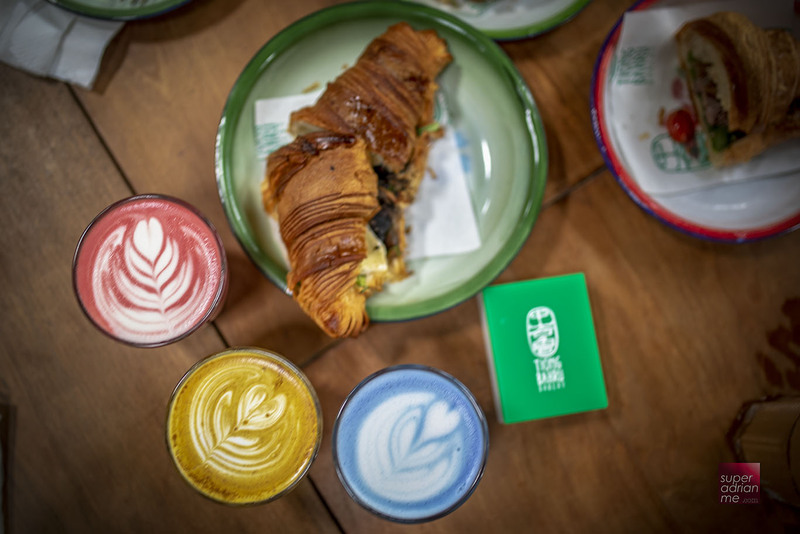 TBB celebrates the opening of TBB Safari with a commemorative pastry for a limited-time till 14 December 2018. The Wild Safari cake is a spherical confection made up of banana mousse. banana passionfruit confit coated in chocolate, and coconut praline feuilletine. This S$9.20 pastry contains rums and nuts.